Meeting new like minded people can be a wonderful experience, and meeting people who inspire to create – is a gift! This journey has lead me to know the beautiful lady Jane from another side of the world. 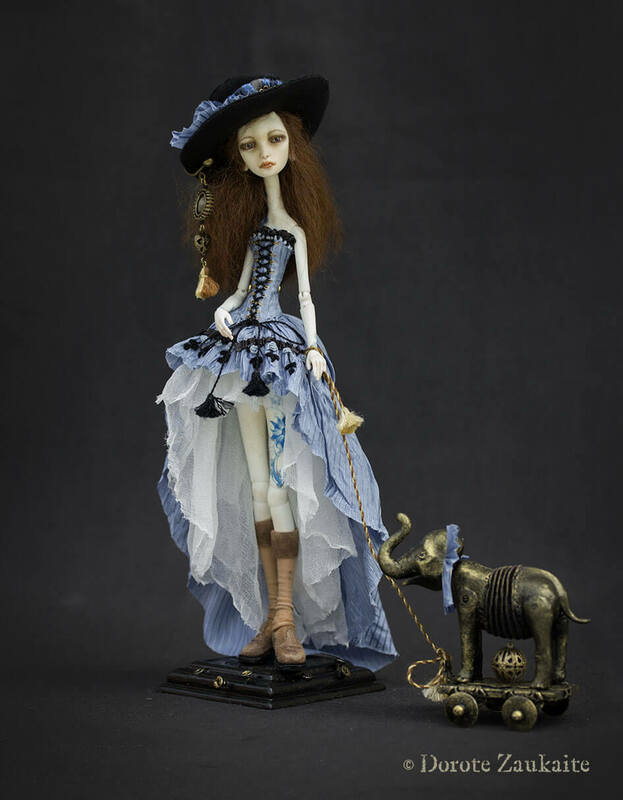 It appeared that we share our love to nature and to fantasy world and we both enjoy making dolls and love strong female characters. And there are many more similarities between us that made me wishing we would live closer to each other, so we can have a cup of tea from time to time…. but well… we live on different sides of the world, and I had put all my best regards and warmth of my hands into the “Tiny Jane’s Demon”, that will take them across the planet right into her new owners hands.